You've seen a property you like, but how can you trust the information given to you by the estate agent or seller? Simple; you run this home inspection checklist! Whilst many buyers hire a professional home inspector, the actual knowledge and qualifications of these can vary wildly - one of the ways to ensure a quality service whilst still picking up on any faults which could lower the property price is to follow this checklist yourself..
Bear in mind that some banks require a home inspection as a condition of the mortgage, and in this case a written certification from a professional is required. However, if you are uncertain of their quality you can pass this checklist on to them to follow! Let's get started and comb over your potential new home. 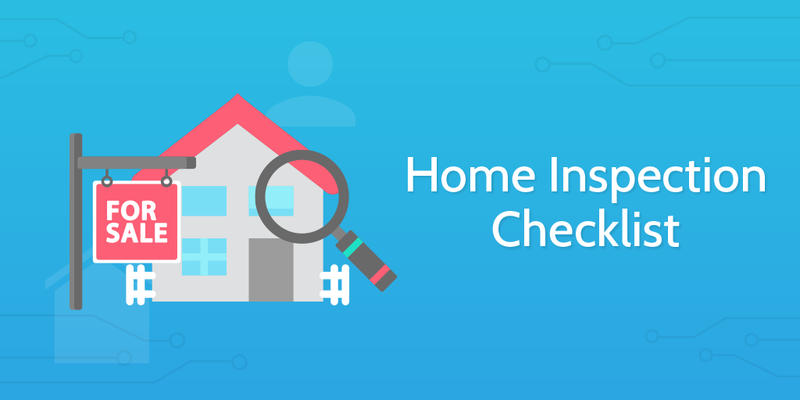 Before we get into the nitty-gritty of the home inspection checklist, you need to take a moment to record the basic details of the property and yourself. Do so using the form fields below. An easy way to kick off the home inspection checklist proper is to inspect the sidewalk. Although this doesn't take very long there are actually several things to consider during this initial examination. Remember to check the following sub-checklist items (at the very least) and record your observations using the form field. In this case, the scenic route is the way to go, as the garden now requires examination. As with the sidewalk, note your observations using the form field below. 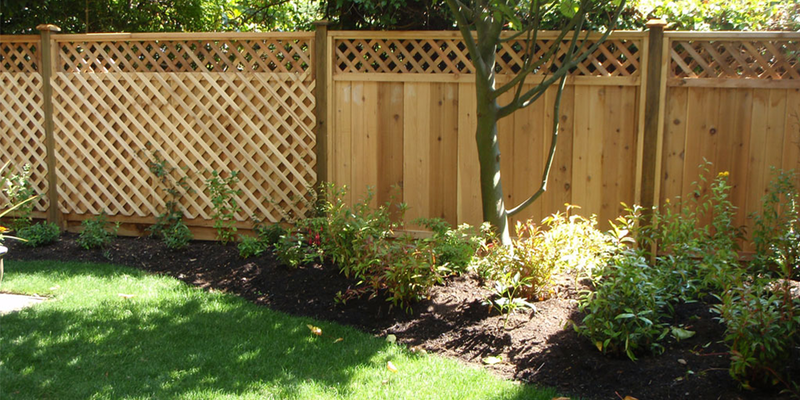 Start off with the simple aspects, such as whether any garbage is present on the grounds or if the plot is maintained satisfactorily. Then move on to examine the placement of plants; trees and bushes should ideally not grow in close proximity to the property and especially should not overhang the roof. Enquire as to whether any trees on the property have measures in place to contain their roots - although they may not be a problem now, extra protection for years to come is not something to be sniffed at. Now that the natural aspects of the garden are recorded, the man-made features come under the microscope. Record your findings in the form field below. All minor exterior structures need to be inspected for general wear and tear, along with the condition of their paint (if applicable), any stains and their very presence in the first place. Water can severely damage a property's foundations if not properly accounted for, so the drainage system must be carefully inspected. Ensure that gutters and drainpipes are firmly attached with no blockages. You also need to assess the position of the home in relation to the exterior; will water flow towards the property? If so, have measures such as sufficient drainage been put in place to prevent potential flooding? No new homeowner wishes to move in, only to have their roof literally fall in around them. The most immediate way to tell if a roof is not up to scratch is to see if the fascia and ridge lines are level. You do not necessarily need to climb a ladder up there and use a construction level, a simple visual evaluation to check that the lines are straight will suffice. 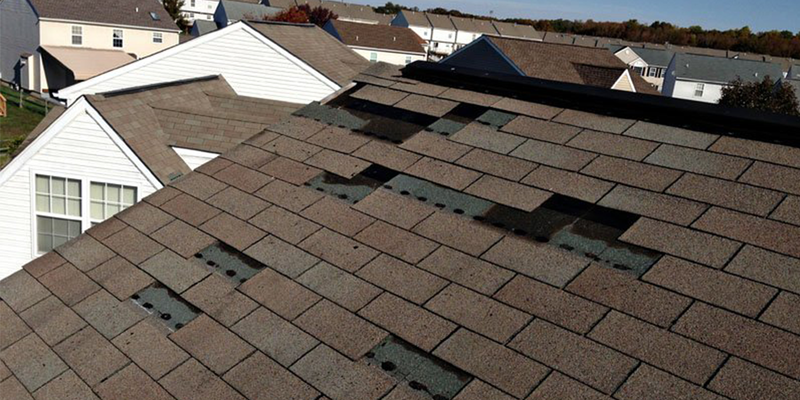 Other than being level, you must also visually inspect the condition of the roof, noting any damage present (such as broken tiles or even holes). Any chimneys must be taken into consideration also. This may seem like a no-brainer, but both internal and external walls need to be checked to make certain they are straight. One of the easiest (and by far the fastest) ways to see that the house has structural problems is to... Well, see it. Take a look at all walls on the site and, using a construction level, check that all walls are level. Any which bow, sag or lean when obviously not intended to should be noted. Pay special attention to the upper levels, as bulging or leaning walls are more commonly seen around door or window reveals at roof level. Once again simple to do, all walls must also be checked for any cracks both inside and outside the property. Although the cause of cracks can vary from shoddy workmanship to inevitable issues such as thermal movement, all visual cracks (including those in wall plaster and following brick mortar) are a sign that something is wrong and a professional needs to be contacted. Any and all cracks should be noted down in the form field below. For a full run explanation of the potential causes of cracks (and what can be done in terms of remedial work), head over to Homebuilding's page on the topics. A property's exterior and interior covering can greatly vary, but all must be included in the home inspection. Any vines or general plant life attached to the exterior should also be noted. Any and all visual foundations must be inspected for possible faults. Note that, even if using a professional home inspector, only a licensed structural engineer can give written confirmation of the state of your foundations. If you obtain this written confirmation, upload a copy of it to the form field below. Otherwise, note your observations. Search for cracks, uneven foundation levels, and possible sinking. Look at external pathways or driveways; although not fool-proof they can often reflect the state of the house's foundations. Any small cracks in the main concrete slab supporting the property can be considered relatively normal; larger or visibly deep cracks need to once again be examined by a structural engineer. If a crawl space is present, check underneath that the soil below is dry and that no salt deposits (both signs of water) are present on the supporting walls. Cracks or uneven supporting walls need to be noted, along with any presence of water as these can all lead to expensive repairs. The same is generally true of basements; ensure they are dry and no cracks are present. For more information, take a look at HomeownerSeries' videos on the topic, the first of which is below. Any wooden surfaces (including floors, supporting beams and sheds) now need to be inspected for rotten patches. Test exposed areas (such as joist ends or skirting board joins) by gently prodding with a screwdriver or something similar. Soft areas should be noted down in the form field below, as this a tell-tale sign of either wet or dry rot. Whilst checking the condition of wooden surfaces on the site, it is also worth searching for signs of termites. Considering that termite damage can cost the average homeowner $3000 in repairs, this step can be just as vital as any foundation inspection. Search on the floor near wooden surfaces (inside the house, external garage or shed) for small pellets indicating termite exit holes; these holes can be seen without pellets necessarily being present, and so the wooden itself must also be inspected. Tap all walls with the handle of a screwdriver or something similar, ensuring no damage can be caused whilst doing so. Listen for the sound of those same pellets falling down the other side of the walls. 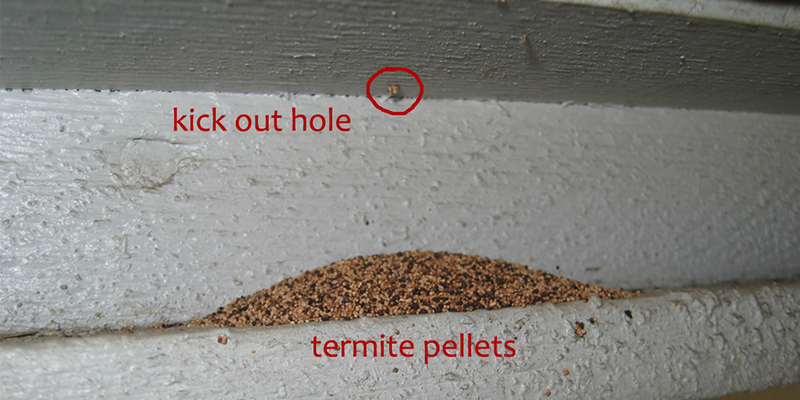 Note down the location of any signs of termites in the form field below. Any termite presence requires the assistance of an exterminator to remove. The windows must now be inspected. Use a construction level to be certain that all windows are level, whilst also checking that no glass is broken or warped. Be certain that all windows are properly sealed, and open windows where possible to test them. Remember to record your findings and leave the windows in the same state you found them (open or closed). The final step of features common both externally and internally in the house inspection, all doors must be accounted for. This includes the front and back door, along with any inside the property. Check each door, assessing and noting the following sub-checklist items in the form field below. Once again, note down any blockages or lack of running water at any point in the network using the form field below. Although a rather large task, it is absolutely vital to ensure all electrical elements in the property are working, both for utility and safety reasons. 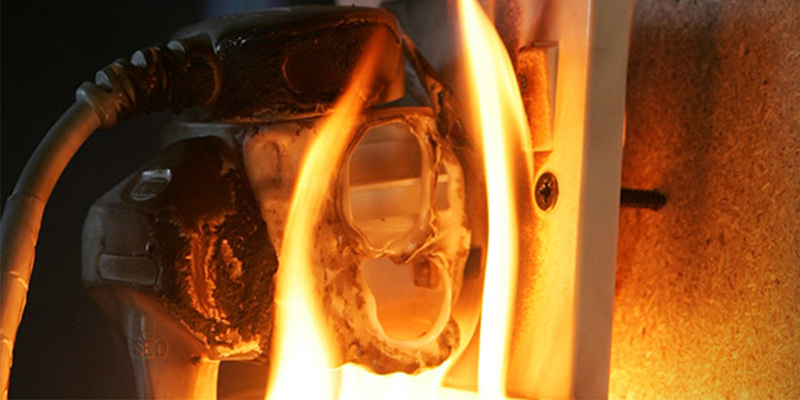 Whilst testing the electrical elements of a property ensure that all necessary safety measures are taken (such as wearing protective gear), and if unsure how to carry out a specific test you should consult a professional. Check out our Electrical Inspection Checklist for detailed instructions on how to evaluate the property's electrical system. No home would be complete without appliances. Check that they are all working properly. Test and note down the condition of features, using (at least) the sub-checklist below and the following form field. When buying a property in the summer you should always bear in mind the potential of the property in winter, and vice versa, hence the heating elements should now be inspected. If possible, note when any heating elements such as the boiler were last serviced or inspected and other important observations using the form field below. Examine the primary source of heat (e.g, the furnace) and assess whether it will be adequate to heat the entire property. Check the placement of radiators; if underneath a window consider that most of the generated heat will be wasted without the use of thick curtains. Ensure that there is absolutely no smell of fuel or gas. Congratulations on completing the home inspection checklist! Amy Fontinelle - Do You Need a Home Inspection? Eric Richmond - How Much Does a Termite Infestation Actually Cost?